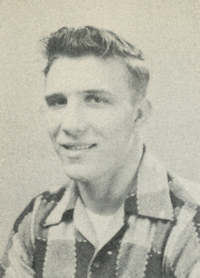 Obituary – Pricer, Billy Carol « Perry High School Alumni Association, Inc.
﻿Baseball 49-53, Football 49.53, Football Co-Captain 51-52, Wrestling 49-53, State Wrestling Champion 51-52, Outstanding Wrestler At Geary Tournament 50-52, Student Council President 52-53, Junior Play 51-52, Freshman Class President 49-50. 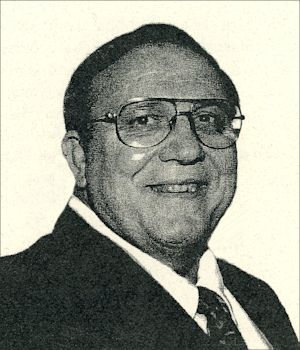 ﻿Billy C. Pricer, 65, of Oklahoma City, passed away September 24, 1999. He was born on September 3, 1934 in Perry, Oklahoma to John and Cora Pricer. Billy graduated from Perry High School where he was an All-State football player. He graduated from the University of Oklahoma where he was the starting fullback on the 1955 and 1956 National Championship teams. He was one of seventeen seniors who will forever be noted as part of Bud Wilkinson’s “Forty-seven Straight All-Victorious Team.” The Sooners never lost a game during Billy’s three varsity years. He went on to play in the NFL for the Baltimore Colts playing on the 1958 and 1959 World championship teams. Wherever Billy played, he played as a winner. Billy will forever be remembered as a loving husband, dedicated father, and treasured friend to many. He was a successful businessman in Oklahoma City where he owned several businesses over many years. He was a charter member of Chapel Hill United Methodist Church where he served in many capacities. Billy was retired at the time of his death. He is survived by his wife, Sally, daughter, Terri, Nance of Moore, Oklahoma, and son, Rod Pricer, of Edmond, Oklahoma. Other survivors include two sisters, Patty Workman of Perry, Oklahoma, and Norma Standford of Stillwater, Oklahoma, and a brother J. R. Pricer of Enid, Oklahoma.